The Venice Film Festival, which takes place this year August 30 – September 9, is the world’s oldest international film festival and draws a host of celebrities and superyachts to the floating city at the end of each summer season. If you are attending Venice Film Festival on a superyacht and looking to continue your vacation, then here are three of best options to consider. 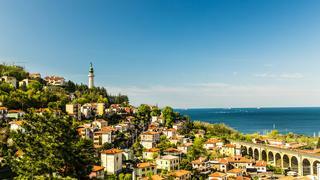 Cruise along the coast and take in enchanting Trieste After savouring the delights of the Venice Film Festival head east along the coast to take in Trieste. The city is a cultural melting pot where Latin, Germanic and Slavic worlds come together. Trieste is always a popular start or end point for a private yacht vacation or luxury yacht charter in Italy. Things to do while in Trieste: While in Trieste, take a stroll around the Piazza dell'Unità d'Italia, Italy's largest sea-facing piazza. Or hop on the vintage tram to Villa Opicina, which takes you from the city up to the beautiful Carso plateau, set 348 metres above sea level. Where to eat in Trieste: Trieste’s culinary reputation is mainly for outstanding fish restaurants. Al Bagatto offers some of the freshest seafood in Trieste with the chef buying the fresh catch from the fisherman every morning. If you are looking for a traditional Austro-Hungarian experience then visit one of the hole-in-wall “buffets” in town. The rustic restaurants are dedicated to pork served with sauerkraut, mustard and freshly-grated horseradish. The Venice Film Festival, which takes place this year August 30 – September 9, is the world’s oldest international film festival and draws a host of celebrities and superyachts to the floating city at the end of each summer season. If you are attending Venice Film Festival on a superyacht and looking to continue your vacation, then here are three of best options to consider. After savouring the delights of the Venice Film Festival head east along the coast to take in Trieste. The city is a cultural melting pot where Latin, Germanic and Slavic worlds come together. Trieste is always a popular start or end point for a private yacht vacation or luxury yacht charter in Italy. Things to do while in Trieste: While in Trieste, take a stroll around the Piazza dell'Unità d'Italia, Italy's largest sea-facing piazza. Or hop on the vintage tram to Villa Opicina, which takes you from the city up to the beautiful Carso plateau, set 348 metres above sea level. Where to eat in Trieste: Trieste’s culinary reputation is mainly for outstanding fish restaurants. Al Bagatto offers some of the freshest seafood in Trieste with the chef buying the fresh catch from the fisherman every morning. If you are looking for a traditional Austro-Hungarian experience then visit one of the hole-in-wall “buffets” in town. The rustic restaurants are dedicated to pork served with sauerkraut, mustard and freshly-grated horseradish. The Venice Film Festival may be in September, but there is still a good chance of some late summer sunshine. The popular holiday resort of Rimini can be overcrowded during the peak summer months but visiting the city in September will give you the space to enjoy its lively atmosphere and cultural sites. You can also plan a stop off at the charming town of Ravenna en-route. Things to do while in Rimini: Take a walk around the town and pay a visit to Tempio Malatestiano, the cathedral church of Rimini, the Arch of Augustus and the statue of Julius Caesar. 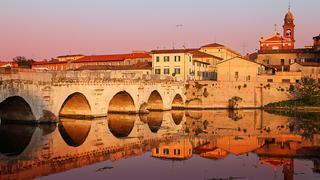 And of course no trip to Rimini is complete without visiting Ponte di Tiberio bridge, pictured above. The bridge was built in 21AD and is so well-constructed that it is still used by traffic. When the sunsets the town really comes to life and there is a great selection of local bars to enjoy. Where to eat in Rimini: If you are looking for fantastic fish head Tonino Il Lurido. The restaurant, which was reportedly Italian film director Federico Fellini’s favourite, has been in open since 1949 and still has a great reputation. If you have a sweet tooth the make sure you head to one of Gelateria Pellicano five stores, for excellent ice cream. The Venice Film Festival may be in September, but there is still a good chance of some late summer sunshine. The popular holiday resort of Rimini can be overcrowded during the peak summer months but visiting the city in September will give you the space to enjoy its lively atmosphere and cultural sites. You can also plan a stop off at the charming town of Ravenna en-route. Things to do while in Rimini: Take a walk around the town and pay a visit to Tempio Malatestiano, the cathedral church of Rimini, the Arch of Augustus and the statue of Julius Caesar. And of course no trip to Rimini is complete without visiting Ponte di Tiberio bridge, pictured above. The bridge was built in 21AD and is so well-constructed that it is still used by traffic. When the sunsets the town really comes to life and there is a great selection of local bars to enjoy. Where to eat in Rimini: If you are looking for fantastic fish head Tonino Il Lurido. The restaurant, which was reportedly Italian film director Federico Fellini’s favourite, has been in open since 1949 and still has a great reputation. If you have a sweet tooth the make sure you head to one of Gelateria Pellicano five stores, for excellent ice cream. If you want to extend your superyacht vacation after the Venice Film Festival then why not take your luxury yacht to Croatia? 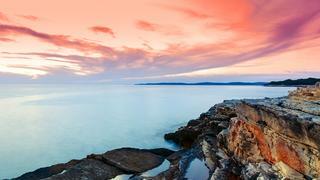 North Croatia is rich in culture and history and also boasts stunning scenery. Things to do while in North Croatia: You are likely to spend the first evening of your Croatian adventure in Pula so make sure you take a sunset stroll around its amazing amphitheatre. Further down the coast visit Krka National Park and take the opportunity to swim beneath its majestic waterfalls. Where to eat in North Croatia:A lot of the best restautants away from your superyacht are located in Southern Croatia. However, if you are into the organic then consider a visit to Villa Astra in Lovran, which was the first restaurant in Croatia to be certified as fully organic. Located in the Bay of Kvarner you dine in stunning reconstructed dining rooms. If you are feeling experimental try some local dishes during your trip such as oven-baked lamb on the Island of Pag. If you want to extend your superyacht vacation after the Venice Film Festival then why not take your luxury yacht to Croatia? North Croatia is rich in culture and history and also boasts stunning scenery. Things to do while in North Croatia: You are likely to spend the first evening of your Croatian adventure in Pula so make sure you take a sunset stroll around its amazing amphitheatre. Further down the coast visit Krka National Park and take the opportunity to swim beneath its majestic waterfalls. Where to eat in North Croatia:A lot of the best restautants away from your superyacht are located in Southern Croatia. However, if you are into the organic then consider a visit to Villa Astra in Lovran, which was the first restaurant in Croatia to be certified as fully organic. Located in the Bay of Kvarner you dine in stunning reconstructed dining rooms. If you are feeling experimental try some local dishes during your trip such as oven-baked lamb on the Island of Pag.